Millions of people spend their entire day with Facebook running in the background, whether it be by phone or by monitor. The Washington Post even published an article saying that Facebook’s patronage rivals the population of China. It has been a critical component in human interaction since the start of the millennium. The reason, I would say, for it’s vast popularity lay in the fact that– unlike Twitter or Instagram– Facebook harnesses the human relationships we hold dear in a digital format. I find myself Facebook friends with family, college friends, elementary school friends, colleagues, mentors, etc… but they are people who I have actually met, people I have personal connections to and have built relationships with. Those connections are critical when life moves at such a rapid pace. Facebook allows for those relationships to be maintained without spreading yourself too thin in the flesh. For those reasons, people stay logged in throughout the day despite the other responsibilities. And for that reason, it is critical for any business or organization trying to mobilize interest. Each of those 1.5 million check their feed on a daily, sometimes hourly basis. If individuals choose to follow you there, you have the potential to use that bully pulpit daily to interact. The more you interact, the more credibility you build. 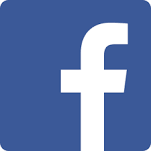 No matter the mission, Facebook allows for you to converse with individuals and gain important feedback and analytics that many pay research companies large amounts of money to produce. If you advertise, you are able to maximize your reach through specific target marketing, and Facebook allows this to happen for short money. These tools are invaluable and should not be circumvented. Facebook is not a social space for kids anymore. It is a powerful tool that launched the Arab Spring and generated over $100 million in donations to ALS research through the “Ice Bucket Challenge”. Alexa ranks Facebook as the second highest rated site on the internet only behind Google. It is also where videos go viral. We can start thinking about how to build up your page and keep it interactive, because people will always want to personalize the organization they’re getting behind. Get to know them… and bring them to you.